SpaceX’s Dragon cargo craft splashed down in the Pacific Ocean at 2:51 p.m. EDT, about 261 miles southwest of Long Beach, California, marking the end of the company’s eighth contracted cargo resupply mission to the International Space Station. 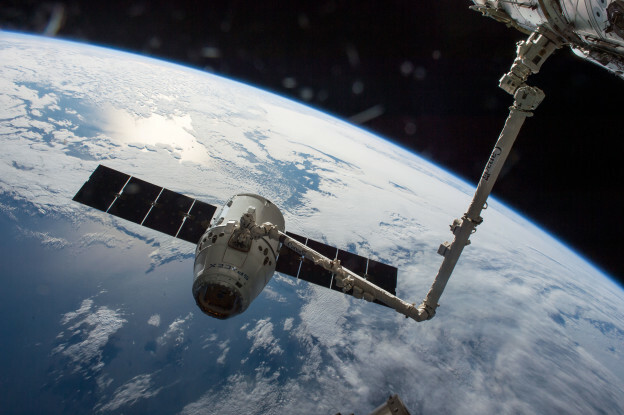 A boat will take the Dragon spacecraft to a port near Los Angeles, where some cargo will be removed and returned to NASA within 48 hours. 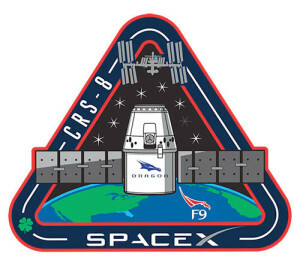 Dragon will be prepared for a return journey to SpaceX’s test facility in McGregor, Texas, for processing. Dragon is currently the only space station resupply spacecraft able to return a significant amount of cargo to Earth at this time. Dragon is returning more than 3,700 pounds of NASA cargo and science samples from a variety of technological and biological studies about the International Space Station. The Microchannel Diffusion study, which investigated fluids at the nanoscale, or atomic level, holds promise for a wide range of technologies. Nanofluidic sensors could measure the makeup of space station air, or be used to deliver drugs to specific places in the body, for example. This type of research is possible only on the space station, where Earth’s gravity is not strong enough to interact with sample molecules, so they behave more like they would at the nanoscale. Knowledge gleaned from the investigation may have implications for drug delivery, particle filtration and future technological applications for space exploration. 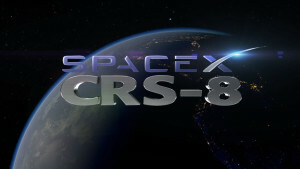 The SpaceX Dragon cargo spacecraft was released from the International Space Station’s robotic arm at 9:19 a.m. EDT. The capsule will begin a series of departure burns and maneuvers to move beyond the 656-foot “keep out sphere” around the station and begin its return trip to Earth. The capsule is currently scheduled to splashdown in the Pacific Ocean at 2:55 p.m. about 261 miles southwest of Long Beach, California. The spacecraft will return the final batch of human research samples from former NASA astronaut Scott Kelly’s historic one-year mission. These samples will be analyzed for studies such as Biochemical Profile, Cardio Ox, Fluid Shifts, Microbiome, Salivary Markers and the Twins Study. Additional samples taken on the ground as Kelly continues to support these studies will provide insights relevant for the Journey to Mars as NASA learns more about how the human body adjusts to weightlessness, isolation, radiation and the stress of long-duration spaceflight. Dragon Departure Coverage at 9 A.M.
NASA Television will provide live coverage of the departure of the SpaceX Dragon spacecraft from the International Space Station beginning at 9 a.m. EDT. Dragon, seen above when it was captured by the station’s robotic arm on April 10, was detached from the Earth-facing side of the station’s Harmony module earlier this morning. Robotics controllers will maneuver Dragon into place and Expedition 47 robotic arm operator Tim Peake of the European Space Agency will execute the command for its 9:18 a.m. release. Dragon arrived at the space station April 10 after launching April 8 from Cape Canaveral Air Force Station in Florida carrying almost 7,000 pounds of supplies and cargo on the company’s eighth commercial resupply mission to the station. Release of the spacecraft by the station’s robotic arm will begin the Dragon’s return to Earth carrying more than 3,700 pounds of NASA cargo and science samples from human research, biology and biotechnology studies, physical science investigations and education activities sponsored by NASA and the U.S. national laboratory. The capsule is currently scheduled to splashdown in the Pacific Ocean at about 2:55 p.m. some 261 miles southwest of Long Beach, California. Author Steven SiceloffPosted on May 11, 2016 Categories UncategorizedLeave a comment on Dragon Departure Coverage at 9 A.M.